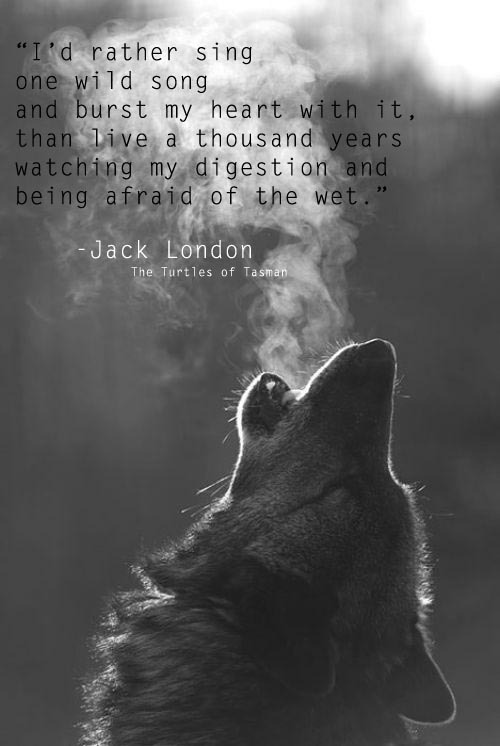 Jack London is one of the best American early 20th Century authors. While he’s mostly known for White Fang and the Call of the Wild, he wrote an exceptional book about class warfare written back in 1908. Check it out if you can, and don’t forget to sing. I’d imagine the book this quote is taken from, The Turtles of Tasman probably rocks too. ← Stay Far From Timid & Only Make Moves When Your Heart’s In It. ~Notorious B.I.G.